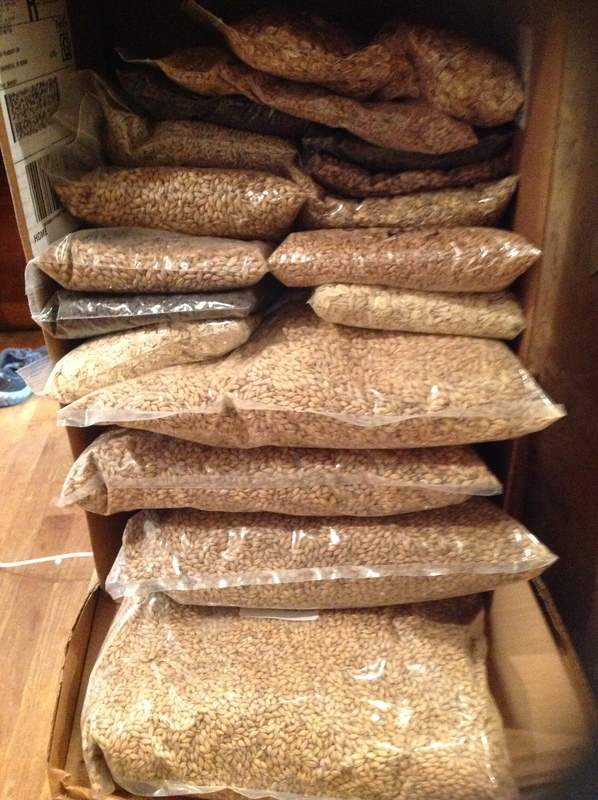 After utilizing mostly all of the grains in stock, and ordering over a several week period, the grains and hops are in. Time to update the inventory. Decided to hold off for now on any other yeast purchase as I have some dry varieties in stock and reuse the yeast from former batches. As I bake bread often, and have begun to make granola mix, cereal, cookies and bars I obtained some unmalted and flaked grains to use for those recipes along with spent grain and of course brewing different types of beers. As a small batch brewer, 1 gallon, the availability of 1/2 lb minimum gives me more sampling and selection when crafting beers especially for the roasted, specialty and adjunct grains . As recommended by some home brewers, I tasted the grains and by munching on them the Golden Naked Oats and the Special B were the most flavorfull, hence the creation of Peabody Porter. Now, is there is program I can input all of my inventory into and get possible recipes, styles and types to brew? Tags: 2013, Barley, base malts, Beer, Breiss, brown ale, Castle malting, full grain recipe, Gallon, grains, home brewing, Malt, Maris Otter, oats, porter, Rahr, rye, wheat, Wyermanns. Bookmark the permalink.